My BBB is running Debian. Your mileage may vary if your BBB is running the stock Ångström. Just successfully extracted data from my Garmin FR70 to BBB via a Garmin ANT+ USB stick. The steps are quite simple once you figured what software you need. Basically you just follow the instructions on the page. To sync with your BBB the first time, remember to turn on the Pairing function on you device. On my FR70, it is under Settings > System > Computer > Pairing. Bus 001 Device 008: ID 0fcf:1008 Dynastream Innovations, Inc.
Where 0x0fcf and 0x1008 are the code from the lsusb command result. Use the values that correspond to the output of your stick. 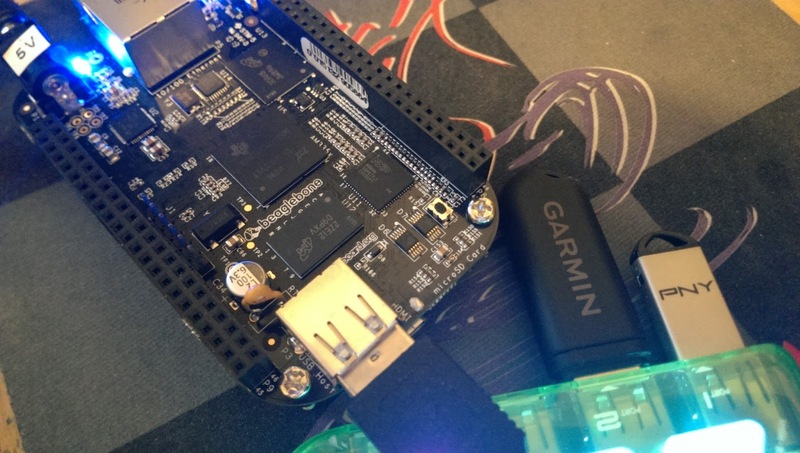 Hello, I am currently working with the ANT+ USB-m stick and the beaglebone black. I am also working with an oxygen sensor that uses ANT+ technology and it requires specific profiles to connect, like heart rate profile, speed and cadence profile, oxygen profile ect.. I was wondering if there is any way we could set up the beaglebone with the ANT+ USB-m stick and my oxygen sensor? Thanks! Hi Licelotte. The examples in my post were using ANT-FS. If your device that, you can copy and data out and process it this way too.